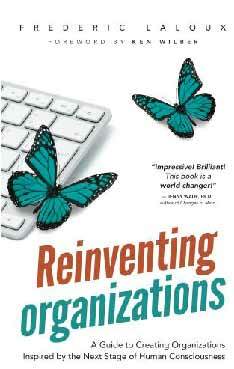 Reinventing Organizations at the second tier rests on a core organizational process that is centered on Purpose. On Purpose Organizations – What if They Connected? When organizations are seen as living entities within an evolutionary worldview, it is natural that they discover the Purpose that they are alive to serve. Organizationally they are answering the question: How does our organization serve what customers, located where, for what Purpose? This Purpose emerges from fitting the organization’s function to serve a larger ecology of organizations. Such an ecology is usually called an “economy”, but from Integral City’s perspective this ecology is the city itself. The ecology is made up of the 4 Voices of the City dynamically interacting with each other as an evolutionary living system. When we tap into the wisdom of living systems through the science of biomimicry, we can relate Purpose at the macro or city scale – what I call the “Human Hive” – to the function that the beehive serves within its eco-regional ecology. The beehive seems to have evolved the Purpose of pollinating and recycling the biological energy sources from which it gathers the raw ingredients (nectar and pollen) to produce the 40 pounds of honey that it needs to sustain itself. Within the city, organizations emerge at the meso-scale, because individuals organize themselves to serve a Purpose together. At the second tier evolutionary stage, Laloux suggests that, the organization is not merely formed to work for efficiencies, effectiveness, productivity or social enterprise – but for a Purpose that is evolutionary. Laloux proposes that organizations with a second tier Purpose act as if competition is irrelevant. So-called competitors – aka other organizations – have their own Purposes. All can co-exist in the organizational ecology/economy to pursue Purposes that support life. We can notice organizations have entered this stage of evolution, when we see that most people in the organization are acting as sensors (to the inner and outer environments). They are asking the question – What is happening in here and out there that we need to be aware of? Individual actions are subsumed into large group processes – where collective intelligence can emerge and we discover that the multiple sensors, sensing each other, expand the base of intelligence that we work from. Within organizations who are operating on Purpose, individual inner intelligence-processes are encouraged and enabled through shared cultural practices like meditations, guided visualizations, visioning and values discoveries. At the same time the organization becomes spontaneously able to respond to requests and prompts from the outside world. This happens at every level of the organization because the Purpose is a shared intelligence throughout the organization. When I consider the possibility of many organizations working on Purpose within a city, it becomes conceivable that they might work together towards an even higher Purpose. What would happen if many organizations within the city, discovered they could embrace a Purpose for the city itself? What are the evolutionary stages that individual cities progress through in order to discover that they serve an evolutionary Purpose that might be in service to the whole Planet (and in fact, a whole Planet of cities)? Can we reinvent cities to serve such a planetary life-giving Purpose, without Reinventing Organizations with a Purpose, who then connect with each other through a group Purpose, as a necessary precursor to seeding On-Purpose cities? This blog continues an exploration of what we can learn if we applied some of Laloux’s ideas from Reinventing Organizations to recalibrating the complexity of the city. Could there be a council of cities? How to concentrate level of cities aside from national interest? We have to start at the village level. Whatever we do in a Place it stays there. Disorder has energy that must be unblocked. It is possible to do something different. Changed perspective from inner to outer, individual to collective. Intellectual acupuncture point for global affairs. Small incentive … collective learning. We created an energetic field of consciousness. Importance of city development for whole global development. Out of conflict – What is Purpose of City as a whole? We can help bees survive for what we do. It’s always 2 ways – emotional … consciousness pushing it. Emergent Intelligence is the intelligence that drives resilience. This gives the city the qualities of aliveness: it not only survives, but it adapts and regenerates. This intelligence enables the city to emerge as the bio-psycho-cultural-social behaviors, intentions, relationships and systems of its citizens interact with the environment they co-create as well as the eco-regional environment the city is situated in. Emergence, like resilience is a phenomenon of complex adaptive systems. If the city were a bee hive, we could easily see that the hive adapts through differentiation and integration for the purpose of achieving a hive survival goal – to produce the 40 pounds of honey per year that the hive needs to survive. In the bee hive differentiation exists in the definition of work roles that enable the hive to respond to life conditions. These roles are exhibited by its conformity enforcers (who do most of the work), diversity generators (who generate innovation options), resource allocators (who reward performance towards goal achievement), inner judges (who act as a hive mind to integrate all the roles) and intergroup tournaments (where competing hives ensure that the best local practices become species sustainability practices) . These five roles enable resilience because by optimizing the access to energy resources and the use of that energy for food production and infrastructure, they ensure individual survival, organizational sustainability and species resilience. When we look at the Human Hive it appears that all these roles are in operation, but the key ingredient that is missing at this stage of city evolution is the agreement and focus on the city’s purpose – which would enable the achievement of a goal. Without that purpose, the goal is absent that clarifies why and how people manifest matter, energy and information for food production, infrastructure development and cultural vibrancy. The question we must ask ourselves in order to mature our species is “what is the equivalent for the Human Hive of the Bee Hive’s 40 pounds of honey”? Perhaps we will be “coerced” into discovering a whole ecology of city purposes by the global crises that face us now? Only by purposefully working together will we solve the great challenges (aka wars) of climate, governance, technology developments and worldviews.